This blog is moving to a new home: the Butow Communications Group (BCG) website. Since the blog launched in October 2016, we’ve had a chance to see how the blog was received. It’s clear that this blog can be of better use for current and prospective BCG customers. However, this site won’t go away. 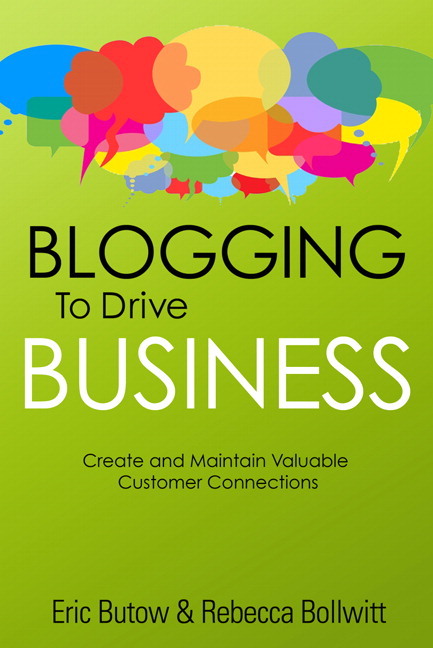 It will have more basic information about the Blogging to Drive Business, Second Edition book. Speaking of the book, several people have asked Rebecca Bollwitt and me about creating a third edition. The bad news is that the computer book publishing industry has cut back its offerings dramatically. Publishers aren’t that interested in producing general business or beginner/intermediate level books as they were even a couple of years ago. Que, a publishing brand owned by UK company Pearson Education, published the first two editions of Blogging to Drive Business. In early 2016, Pearson laid off 4,000 employees — about 10 percent of its workforce. Worse, some authors (including one I know) had current and future book authoring contracts cancelled. At Pearson’s annual meeting on May 5, 2017, investors revolted against a 20% increase in CEO John Fallon’s pay after a 2.6 billion pound (about a $3.4 billion) annual loss. Fallon tried to assuage investors by putting his additional salary in Pearson stock. He also announced another round of job cuts and office closures that will save 300 million pounds ($3.95 billion). This is on top of Pearson’s plan to sell its consumer publishing joint venture with Random House. Fallon warned investors that “things are not going to get better anytime soon.” So, don’t expect a third edition of Blogging to Drive Business in the near future. Given Pearson’s troubles, I won’t be surprised if their technology book brands are sold off, too — hopefully to a solvent buyer that’s willing to invest in books. If so, Rebecca and I will be there to promote a new edition of the book. In the meantime, visit the BCG website and click on BCGIN in the lower-right corner of the screen to sign up to get news and offers from BCG. When the new BCG blog is online, then you’ll be the first to know. And keep checking this webpage because the new Blogging to Drive Business site will be online soon. Welcome to the new Blogging to Drive Business blog! It’s still quite not where I’d like it, but 97 percent of it is where I like it and you can see the features that will be staples of this blog. At the top is the News Ticker so you can get the latest news about technical communication and the latest technologies such as Samsung mobile devices. Just move your mouse pointer over the Ticker box to stop it and click the Read More link to read the story. The Articles section allows you to download articles written for readers of books authored or co-authored by Eric Butow that are featured on this blog. The first two articles are about upgrading to the Android Marshmallow operating system on the Samsung Galaxy S6 and Galaxy Tab S2. You can purchase each article for the modest price of 99 cents and download them to your computer to read at your leisure. The Courses section links to courses created by Eric Butow, his book co-authors, and his business partners. After you click the link, the course page opens in a new browser tab. Prices for each course will vary. A list of the most recent books authored or co-authored by Eric Butow appears within the Books section. If you want to see a list of all his books, click the Amazon.com list at the bottom of the list. At the bottom of the screen, you can learn more about us by clicking About, subscribe to this blog with your favorite RSS reader by clicking Subscribe, and contact us in an e-mail message by clicking Contact. This blog is also responsive so it’ll look nice on your mobile device. A blog is a living thing, so expect more changes and refinements as we go along. This blog is designed to be a resource for you to help cut down on the clutter of news we all get online, and please feel free to contact us with suggestions and constructive criticism. Thanks for reading and watch this space.